"Excellent service and car always looks like new when returned. Thank you!" Read our customers' honest and impartial Fiat Punto car reviews and ratings to easily find your next car at Motorparks. The last Punto we owned was a 2002 model - the new 2015 Easy Plus is a completely different car with its smart exterior and a more plush seating and modern I tech dash. This is the 3rd Fiat Punto that I have had and they are a fantastic reliable car - I have not had any problems with any of my cars that I have had, they are really easy to drive and a very comfortable car. I am very happy with my car. This car is a dream to drive, it's spacious inside and has a large boot too. It has automatic climate control which can also be different for the passenger. The bluetooth is handy for speaking on the phone while driving and it also has voice control. The petrol cap is a little fiddly to get on and off, but I am sure that I will soon get the hang of it, and it wouldn't have been a deal breaker if I had known about it before hand. This is my first Fiat and I am very impressed with it. 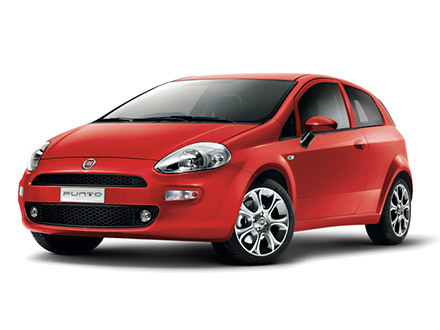 I am loving my new Punto Easy Plus, it is a comfortable, smooth drive. The seats are extremely comfortable and with the adjustable steering, I can get the perfect driving position. The media is great with the bluetooth for my phone. The only disappointment is that the satnav won't connect to the Blue and Me due to an update on the software by Fiat. All in all, I would highly recommend this car with the higher spec which gives it a slightly sporty look.